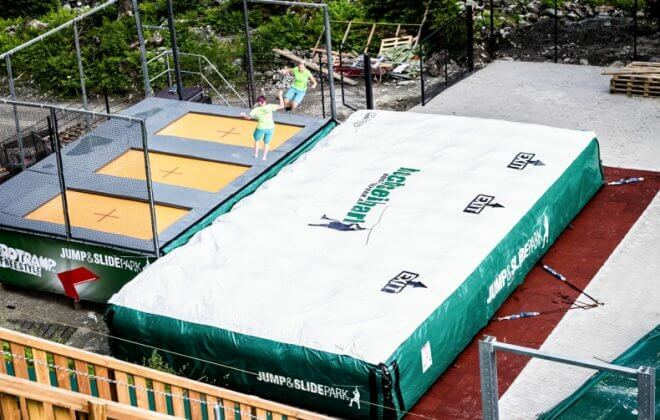 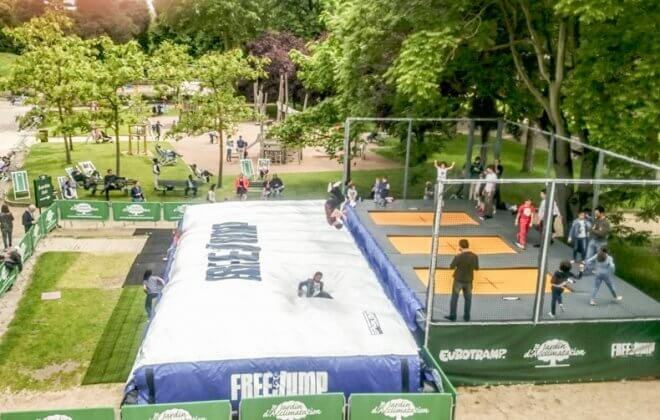 The Trampoline Airbag Station is the ideal portable attraction for both indoor and outdoor. 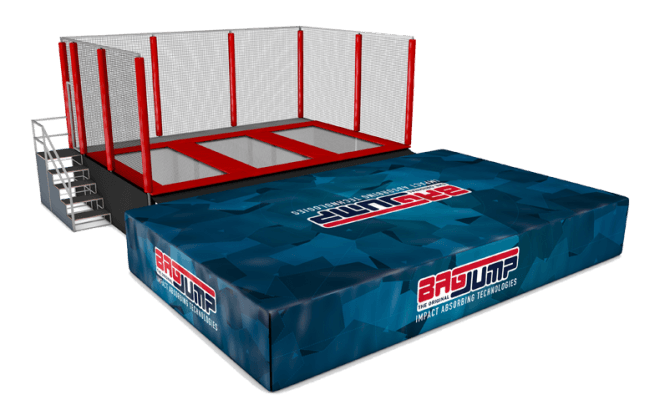 Add your own colors and logos to showcase your brand with the Trampoline Airbag Station. 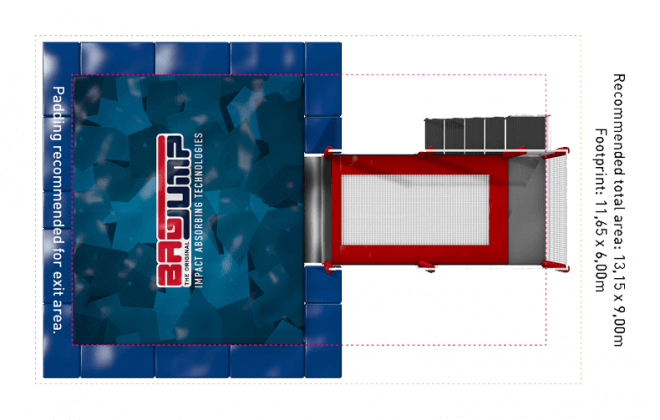 We use the most advanced and innovative materials custom-made by HEYtex® in Germany. 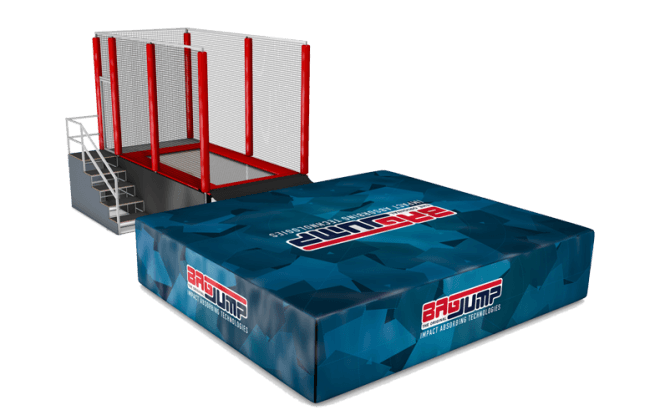 The Trampoline Airbag Station takes the most exciting part of any trampoline park to your venue as a freestanding or even portable unit. 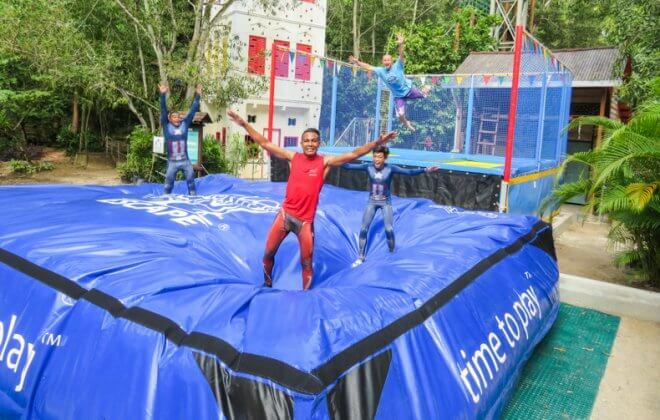 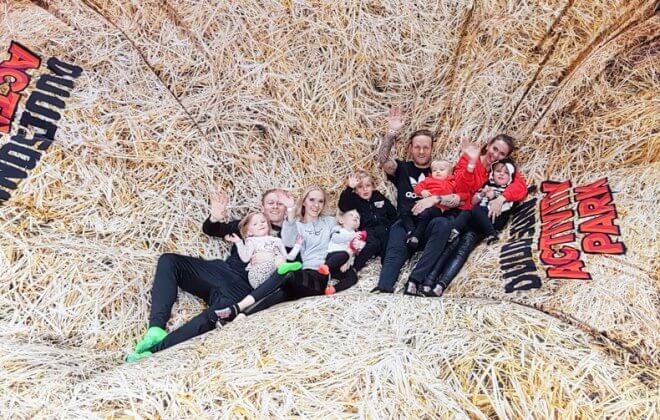 Bouncing on a trampoline is lots of fun for all ages, but being able to let go of your fears and jumping into a giant airbag will multiply this experience. 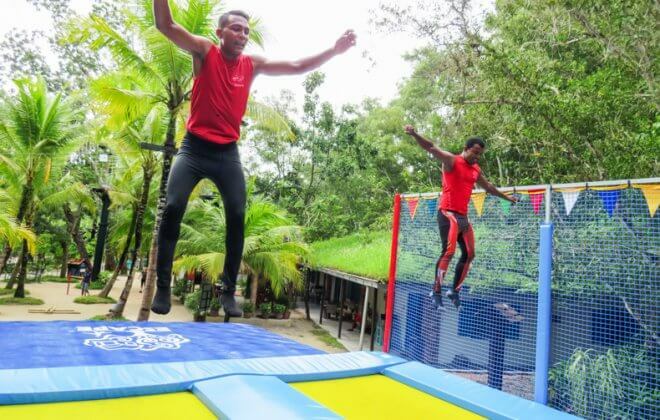 The throughput created with this attraction is much higher than on a trampoline-only setup as you will have people jump, land and then get back into the waiting line to go again. 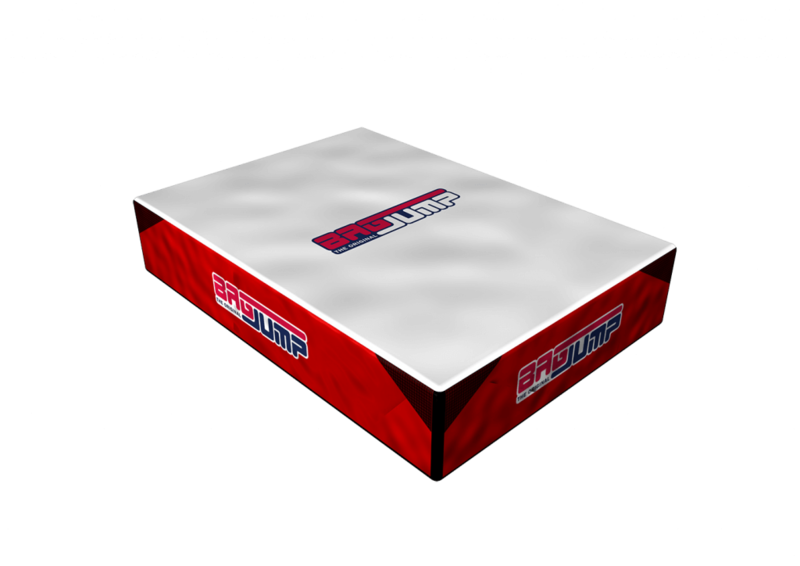 This combination is great for both outdoor and indoor and can withstand the harshest weather conditions and temperatures. 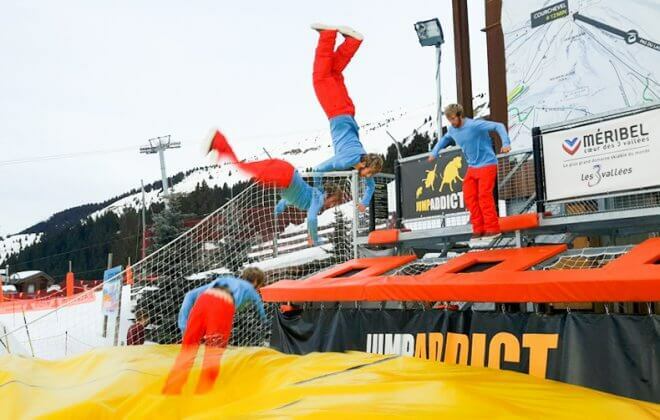 No skills necessary. 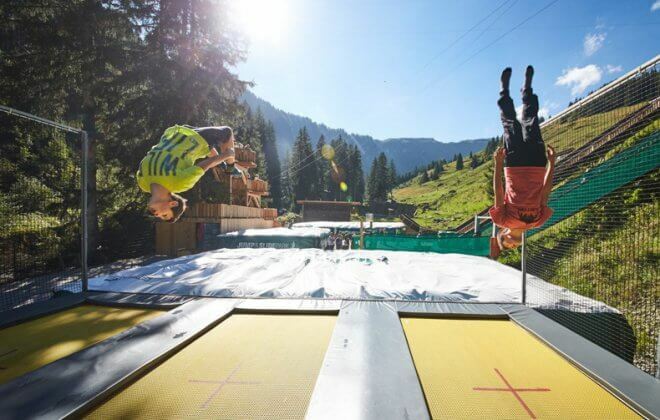 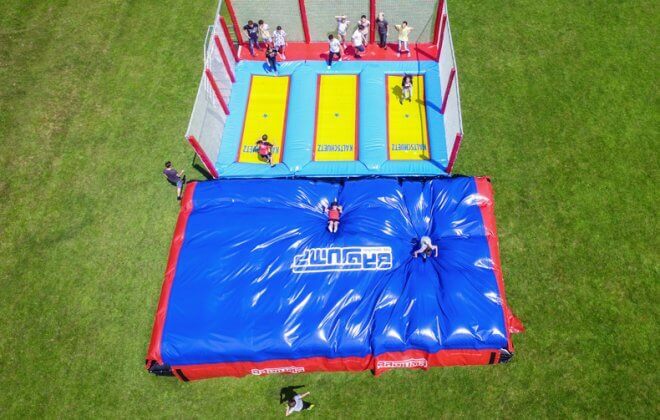 High fun factor, keeping kids and adults alike jumping time after time. 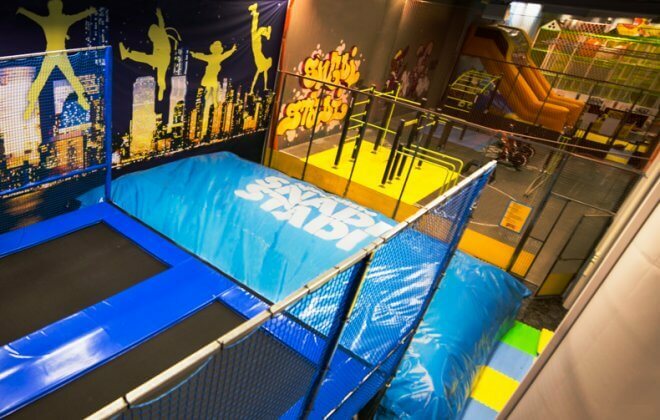 Gives a greatly increased throughput than with just a trampoline space. 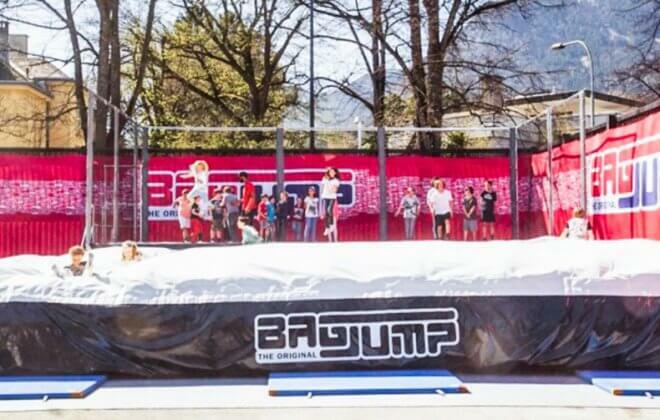 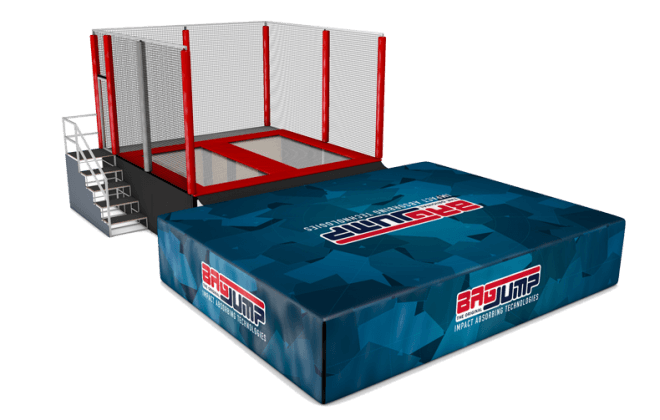 Add a whole new level of excitement to regular trampoline fields where kids can only jump in place. 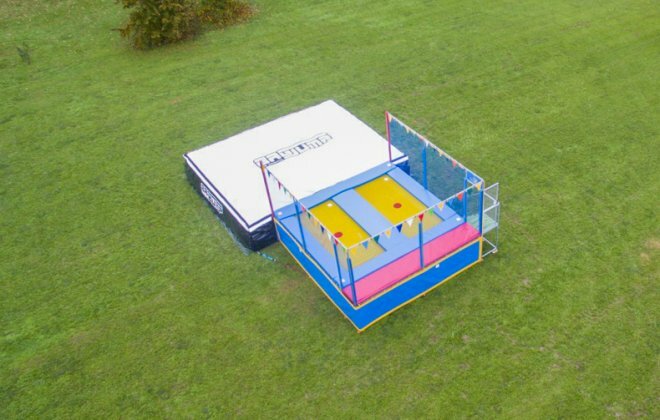 With a quick setup time, this is a great mobile option. 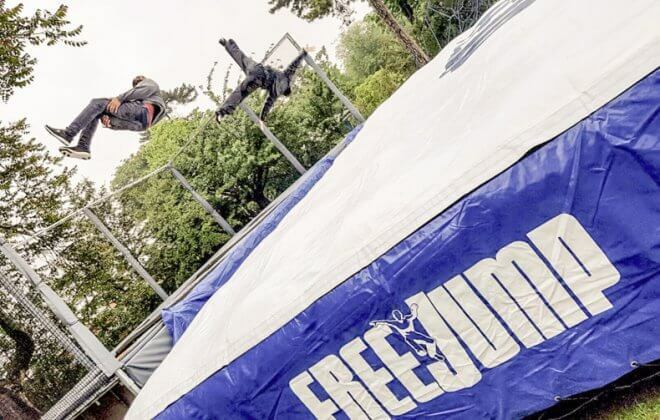 The airbag, trampolines, and netting are the perfect place to add your company logo or a full digitally printed advertisement. 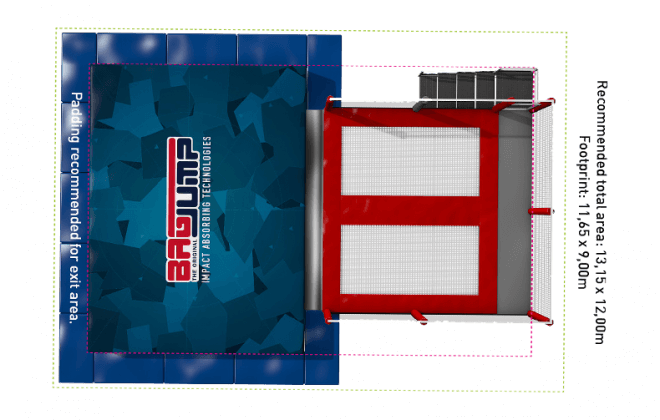 Depending on how much space (footprint) you have available or how many people you want to cater to you, can get this setup in various sizes. 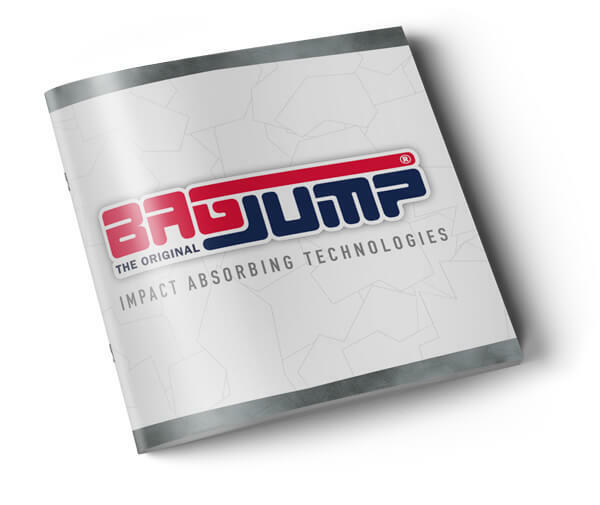 We can adjust our airbag system to any type of trampoline, but in case you want a worry-free package we can do the work for you. 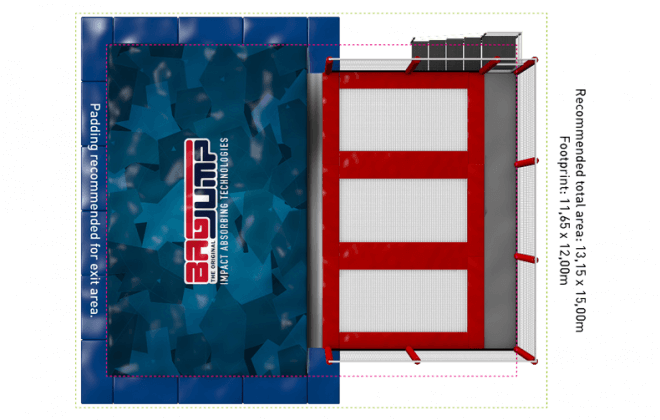 We partner with a variety of trampoline manufacturers to offer exactly the right trampoline station for your needs.